Today is guest post day here at Duct Tape Marketing and today’s guest is from Mike Hanski – Enjoy! In certain ways, inbound selling is a lot like inbound marketing. At the very least, they have one very important concept in common – content is king. The success of any inbound technique – letting potential leads come to you rather than go hunting for them – is quality content. And the driving force behind quality content is the idea of letting the reader understand “What’s In It For Me” (WIIFM). Prospects don’t care about how many products you sold last year, the size of your company, the awards you’ve received or anything else that is wholly unrelated to them. All they care about is what they can get from the deal. Fortunately, this idea plays right into the hands of inbound sales specialists. Check out the ways you can use WIIFM writing to enhance the success of your inbound selling strategy. If done properly, WIIFM writing creates problems and initiates questions. You want your content to answer some of the questions the reader might have, but not all of them. This draws attention to specific areas of need. We can help with your search engine optimization, social media marketing, and other marketing techniques. The reader would wonder…”what ‘other marketing techniques?’ Can you do my offline/print marketing too? To get the answer to that question, the prospect will seek you out. In the meantime, he might realize he does, in fact, need online marketing techniques in addition to the offline marketing he intended to implement. You’ve created a problem he didn’t know he had. Again, this idea plays right into the hands of WIIFM business writing. The best education tactics are centered on how the reader will benefit. Industry secrets. Is there some insider information you can provide? Are there questions people are dying to know the answer to? Give away the recipe to the secret sauce and prospects will love you forever. Controversial topics. Is there something taboo about your industry? Are there things no one wants to talk about? Expose those issues. Educate prospects about topics they didn’t even know they needed to know. Other areas of expertise. Demonstrations and tutorials are golden. Teach something and prospects will be hooked. Consider making a video of your efforts. Social media is another arena that offers prime learning opportunities. 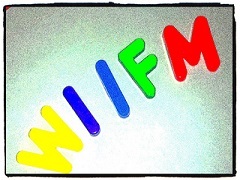 When you think about providing educational information with your social media account, remember…WIIFM. That means, less self-promotion and more client-centered content. A general rule of thumb for any social media marketing effort is 80/20 – 80% of your content should be links and shares of other people’s content and only 20% should be about you and your brand. If you are going for a true WIIFM approach with the goal of inbound selling, you might want to change the ratio to something even more drastic – maybe 90/10. Just focus on providing genuinely helpful content. Link to other leaders in your industry. Share significant news pieces. Be helpful. Another concept of inbound selling is the idea of switching from lead nurturing to storybuilding. This strategy is the one most likely to cause a WIIFM stumbling block. While creating the organization’s stories, it can be easy to slip from them-oriented tales to us-oriented success stories. When you write, remember to make sure your stories are problem creating (them) rather than problem solving (us). The driving concept behind inbound selling is letting the prospect come to you. Therefore, you need to make that task as easy as possible. Again, think about them and what they need to reach you. Make your “Contact Us” page easy to find. Clearly link to it from the homepage – and each internal page. Provide as much information as possible on your “Contact Us” page – physical address, email addresses, phone number, fax number, GPS coordinates…everything. You can’t possibly go overboard here. When applicable, give specific contact information. Do you have different departments to handle different issues? List all those out with the appropriate contact person and information. Try to avoid the ambiguous “info@OurCompany.com” email address. List basic information – like your phone number and email address – on each page of your website. Don’t make visitors go to your “Contact Us” page if they don’t want to. Share customer testimonials. Let other people be your sales rep. They might connect with the reader in a way you can’t. When it comes to inbound selling, your website is one of your most powerful tools. Be sure to keep the content focused on the reader. Tell them exactly what’s in it for them. Write with your prospect’s interest at heart and you can’t lose. 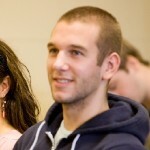 Article by Mike Hanski – content strategist and a blog writer at Bid4papers.com. When not writing about education technology and business, he enjoys American literature and traveling in far countries. Learn more about Mike at Google+.